The warmth of Spring time is finally here! It is time to get out and about! This month from March 24th till April 13th, for almost 3 weeks, monocircus has been invited to be a part of a market event put together by HOW HOUSE, an artist-run studio that runs interesting workshops in Yanaka in Tokyo. 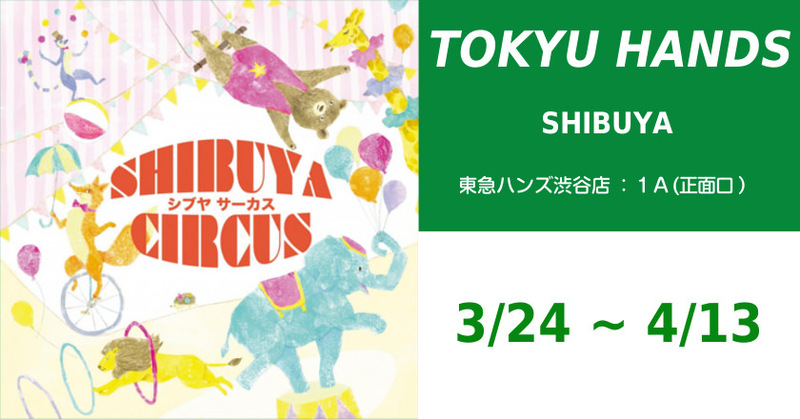 Entitled, SHIBUYA CIRCUS, a group of 23 creators will be featuring their accessories and knick knacks creations in this exciting event. The venue will be the Floor 1A event space at the Tokyu Hands in Shibuya, one of the most sort after store for art and craft materials in Tokyo. If you happen to be in Shibuya, drop in and have a look!